Chicago, Illinois. 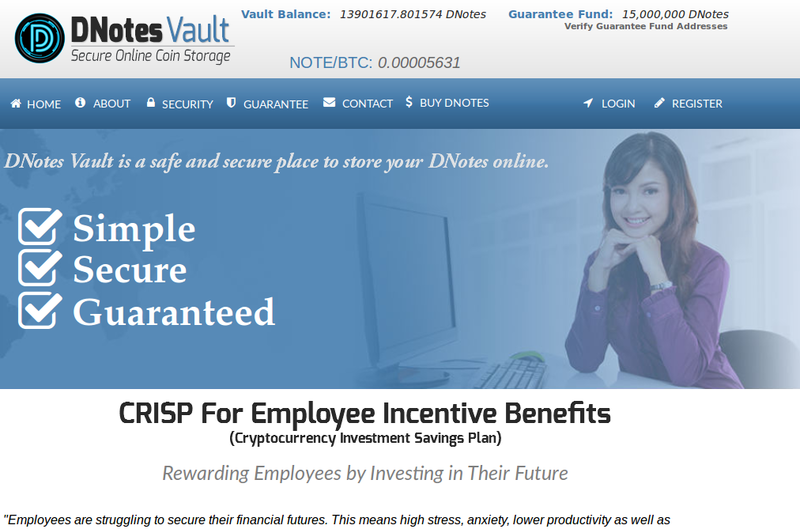 [May 25, 2015] – DNotes announces the release of their Employee Incentive Benefits Plan, the latest addition to their family of CRISPs (Cryptocurrency Investment Savings Plans) that already provides an investment vehicle for Children, Students, and Retirement funds. The Employee Incentive Benefits Plan combines knowledge of the employer/employee relationship with macro-economic foresight to maximize its users’ long-term potential benefit. Is Goldman Sachs Flirting with Bitcoin, or the Blockchain?